In June of 2018 EcoAddendum conducted a pilot camp for school aged children. The impetus for the Urban Forest Camp sprung from one of the core values of Eco A—a reverence and love for the earth and her ecology and a desire to share this value with others. I have previously collaborated with Kathryn Kolb on a couple of Eco-A events that involved elementary school children. As a retired educator, I began to reflect upon how my skills as teacher could be adapted to outdoor education. I began to write a curriculum for an outdoor camp that could be conducted in the small forest that is located in the backyard of my home. With Kathryn as my resource, the process of identifying and labeling many of the native trees and plants in my forest began several years ago. Thus, the forest has become an excellent teaching and learning facility.The camp children were phenomenal! The first day of camp had an enrollment of nine (9) children who ranged from seven to eleven years of age. Each day, half of the camp was spent outside in the forest as a field experience. 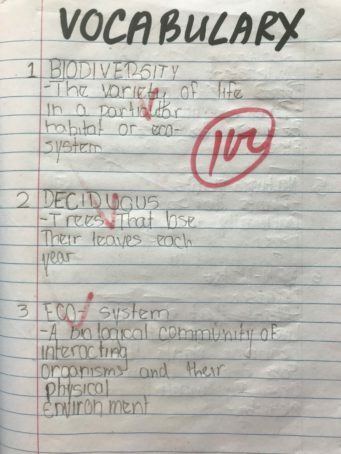 Several documents were designed to engage the students with the ecology of the forest. The campers collected data on native over story, middle story, and understory trees, native plant species, and indicator plants. 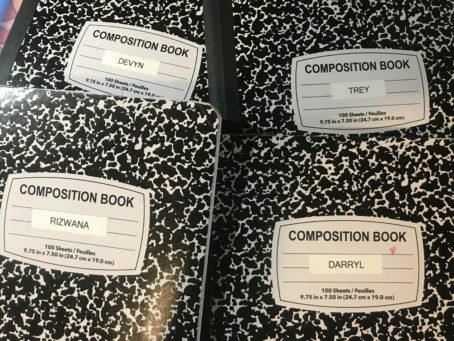 The second half of each camp day was spent indoors wherein campers completed their field notes, compared and contrasted plant data, and before the camp ended they were analyzing and evaluating soil quality and drawing conclusions about plant diversity that existed in particular areas of the forest. The children loved every aspect of being outdoors among the trees. Their laughter and enthusiasm became the joyful voices that competed with the calls and songs of the resident birds. They were so happy with the thrill of exploration and discovery. On the last day of camp, the children organized a closing program that included their family members. About a dozen guests came to support them. The campers conducted a Socratic Seminar that allowed them to “expertly” convey their new found expertise on all things forest. 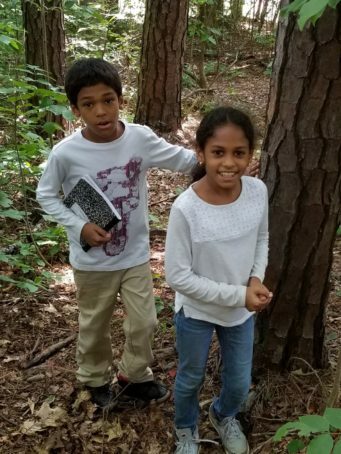 They shared their haiku forest poems and conducted a tour through the forest with their family guests. I was absolutely amazed by how much the children learned and were able to articulate about forest ecology. 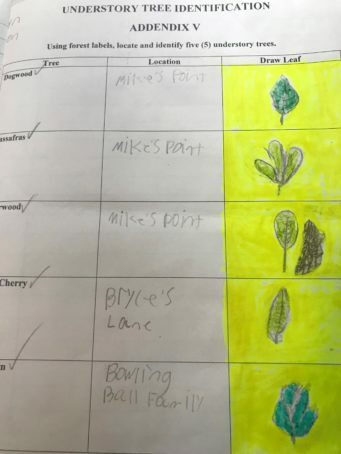 Since the end of the summer camp season, several children have come back to their forest classroom to check on the baby trees they measured, labeled, and adopted. Their footprints and presence will always be welcomed. Like the trees, I hope their connection to the earth remains grounded and strongly rooted in nature’s support, beauty, and generosity. This entry was posted on Tuesday, October 9th, 2018 at 7:09 am	and is filed under Uncategorized. You can follow any responses to this entry through the RSS 2.0 feed. You can skip to the end and leave a response. Pinging is currently not allowed. Ecology and learning to love and care for our environment is something that is not taught in classrooms today. 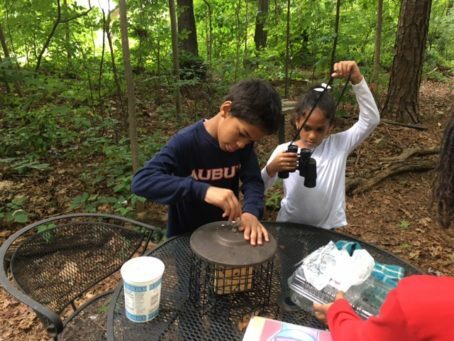 The idea of exploring outdoors and learning more about nature is exciting for all ages. I would love such an opportunity for my children. 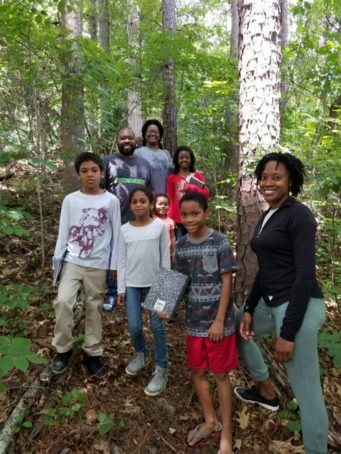 Looking Forward to Summer 2019 Urban Forest Camp!